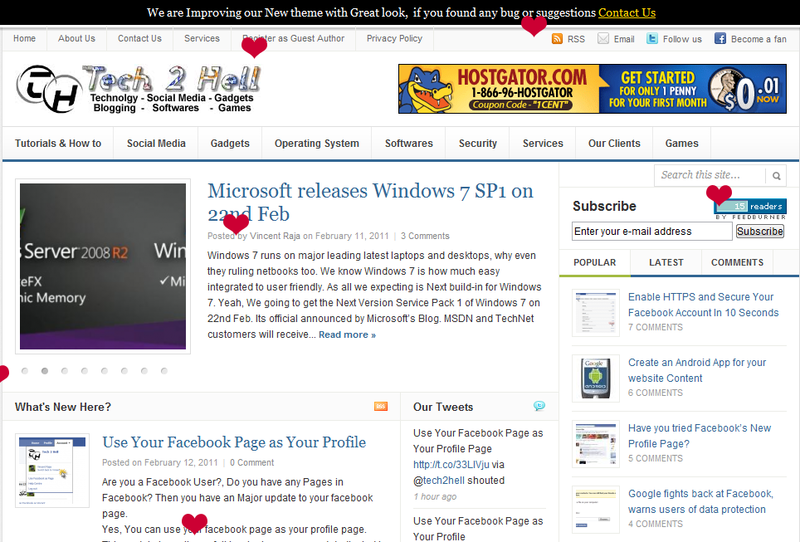 What’s Special in your blog for Valentines Day?, Why cant you decorate your blog with Falling hearts on Valentines Day. Greet your visitors on Valentines Day by Special effects in Falling Hearts. I just found Falling Heart Plugin for WordPress. i thought to share with you. Install and Get attractive Look of your blog.